Born in the Netherlands, Blyleven is a former Major League Baseball pitcher who played from 1970 to 1992 and was best known for his curveball. In 2011, he was inducted into the Baseball Hall of Fame. Blyleven was drafted straight out of high school by the Minnesota Twins in 1969, and at age 19 in 1970, was called up to the Majors after only 21 minor league starts. In his first season, his sharp curveball helped him to 10 victories, and he was named American League (AL) Rookie Pitcher of the Year by The Sporting News. In 1973, he pitched the most shutouts of any AL pitcher, with 9. In 1976, Blyleven was traded to the Texas Rangers, and his 2.74 career earned run average (ERA) with the Rangers remains the best in team history. After he gave the finger to a television camera, Blyleven was traded in 1977 to the Pittsburgh Pirates, with which he led the team in ERA, strikeouts and complete games in 1978 and helped them to a World Series victory in 1979. In 1980, Blyleven was traded to the Cleveland Indians but sat out most of the 1982 and 1983 seasons. He came back in 1984 with one of his best seasons: a 19–7 record with a 2.87 ERA. In 1985, he again led the AL in shutouts with 5 and pitched 293 ⅔ innings and completed 24 games, a feat never repeated. However, Blyleven forced a trade back to the Twins, where he passed the 3,000-strikeout mark and helped the Twins to a 1987 World Series victory. Blyleven's first two full seasons back with the Twins also produced major league records for home runs allowed in a single season (50) and in back-to-back seasons (96). He never surrendered more than 24 home runs in any year before and after the 1986–87 campaigns, averaging 21 allowed per season over the course of his career. In 1989, Blyleven went to the California Angels and pitched a 2.73 ERA for a 17–5 record in his first season, and led the league for his third and final time in shutouts (5). He retired following the 1992 season with a career 287–250 record, with 3,701 strikeouts (only 16 other pitchers have at least 3,000 career strikeouts) and a 3.31 ERA. 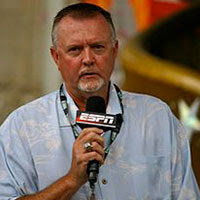 In 1996, Blyleven became a color commentator for the Twins. 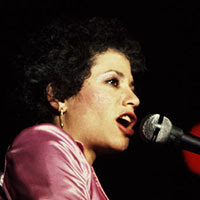 An American singer-songwriter who was mostly active in the 1960s and 1970s, Ian’s most successful songs were “Society’s Child” and “At Seventeen.” At the age of 13, she wrote and sang her first hit single, "Society's Child (Baby I've Been Thinking)," about an interracial romance forbidden by a girl's mother and frowned upon by her peers and teachers. After it became a national hit in the summer of 1967, some radio stations banned it from their playlists, and Ian received hate mail and death threats. In 2001, "Society's Child" was inducted into the Grammy Hall of Fame. "At Seventeen," a bittersweet commentary on adolescent cruelty, was released in 1975 and was a major hit, receiving acclaim from critics and record buyers alike, and winning the 1975 Grammy Award for Best Pop Vocal Performance - Female. The album, Between the Lines, was also a smash, reaching No. 1 on Billboard's Album chart and was quickly certified Gold and later earned a Platinum certification for over one million copies sold in the U.S. In 1979, "Fly Too High" earned Ian a Grammy nomination and became a hit single in many countries, including South Africa, Belgium, Australia, Israel and the Netherlands. Ian's album Aftertones topped Oricon's album chart in October 1976. After "At Seventeen," she reached the pop charts only once more with "Under the Covers" at No. 71 in 1981. However, Ian continued to write songs from 1982 to 1992, which have been covered by, among others, Amy Grant, Bette Midler and Marti Jones. She released Breaking Silence in 1993, about coming out as a lesbian, and Folk Is the New Black, in 2006, her first album in more than two decades. Ian’s short stories have been published in science fiction anthologies. In 2008, she released her autobiography Society's Child to critical acclaim. An accompanying double CD, The Autobiography Collection, has been released with many of Ian's best loved songs. In December 2015, Ian appeared in the series finale of HBO comedy series Getting On, playing a patient who refused to stop singing. 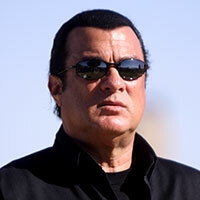 A 7th-dan black belt in Aikido, actor Seagal began his adult life as a martial arts instructor in Japan. After moving to Los Angeles, he worked as a martial arts instructor on the movie Never Say Never Again, accidentally breaking actor Sean Connery's wrist during production. In 1988, Seagal made his acting debut in Above the Law, which was followed by four successful films. He achieved further fame in 1992, when he played Navy SEALs counter-terrorist expert Casey Ryback in Under Siege. During the latter half of the 1990s, Seagal starred in three more theatrical films and the direct-to-video film The Patriot. Since that time, his career has shifted almost entirely to direct-to-video productions (released to the public on video instead of to movie theaters)—a total of 27 from 1998 to 2014. At the age of 58, he starred in his first widely released film since 2002, the 2010 film Machete. Between 2009 and 2013, he filmed three seasons of his reality show Steven Seagal: Lawman, which depicted him as a reserve deputy sheriff in Jefferson Parish, Louisiana (season 1–2) and Maricopa County, Arizona (season 3). He also created and starred in two seasons of the undercover police drama series True Justice between 2011 and 2012. As an accomplished guitarist, Seagal released two studio albums (Songs from the Crystal Cave and Mojo Priest) and performed on numerous film scores. As a businessman, Seagal is estimated to be worth anywhere from $5 million to $16 million (as of 2015). Steven Seagal Enterprises markets his own energy drink, Lightning Bolt, and represents the Russian firearms manufacturer ORSIS. He is a supporter of both the 14th Dalai Lama and Vladimir Putin, calling Putin "one of the great living world leaders." Born Antonio Salvatore Iadanza, the Italian-American actor is best known for starring on the TV series Taxi and Who's the Boss?, for which he was nominated for an Emmy Award and four Golden Globe Awards. A professional boxer, Danza got his start on Taxi after a producer discovered him at a boxing gymnasium in New York. On Taxi, he played a cab driver and part-time boxer on the award-winning comedy that aired from 1978 to 1982 on ABC and from 1982 to 1983 on NBC. From 1984 to 1992, he starred in ABC’s popular comedy Who's the Boss?, in which he portrayed retired baseball player, housekeeper and single father Tony Micelli. Danza also starred in the short-lived sitcoms Hudson Street (1995) and The Tony Danza Show (1997), for which he won the 1998 People's Choice Award for Favorite Male Performer in a New Television Series. He was nominated for an Emmy Award for a guest-starring role in the 1998 TV series The Practice. He made his movie debut in the comedy The Hollywood Knights (1980), which was followed by Going Ape! (1981). Danza received critical acclaim for his performance in the 1999 Broadway revival of the Eugene O'Neill play The Iceman Cometh. Danza hosted his own TV talk show, The Tony Danza Show, which ended in May 2006. He starred on Broadway as Max Bialystock in The Producers in 2006-2007. In 2010, he had his own reality show Teach: Tony Danza (on A&E), in which he co-instructed a 10th grade English class in Philadelphia. The book I'd Like to Apologize to Every Teacher I Ever Had: My Year as a Rookie Teacher at Northeast High, was released in 2012 and was based on his year of teaching. Best known as the former lead guitarist and founding member of the rock band Kiss, Frehley adopted the persona of the "Spaceman" or "Space Ace" and played with the group from its inception in 1973 until his departure in 1982. After leaving Kiss, Frehley embarked on a solo career, which was put on hold when he rejoined Kiss in 1996 for a highly successful reunion tour. 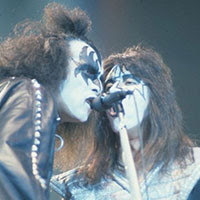 His second tenure with Kiss lasted until 2002, when he left at the conclusion of what was originally purported to be the band's Farewell Tour. His most recent solo album, Space Invader, was released in 2014. Guitar World magazine ranked him as the 14th greatest metal guitarist of all time. His solos often incorporate the minor pentatonic scale and the usage of vibratos. Outside of Kiss, Frehley has continued to be commercially successful, with his first solo album going platinum. He is also known for the use of many "whimsical" guitars, including a Gibson Les Paul guitar that emits smoke from the neck humbucker pickup and produces spinning pyrotechnics, and a custom Les Paul that emits light based on song tempo. FAMOUS & 65 is a featured article in the April 2016 Senior Spirit newsletter.